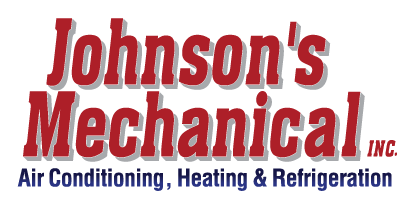 Ventilation, Lakeland, FL | Johnson's Mechanical Inc. Ventilation, Lakeland, FL | Johnson's Mechanical Inc.
As HVAC professionals who serve the Lakeland, FL area, our ventilation services are extensive, and our capabilities are impressive. When warm or cool air is produced by your HVAC system, it travels through a series of ducts and comes out your vents. Excluding your actual HVAC unit, your vents and ductwork compose your home’s ventilation system. Just like your air conditioner might need a repair every once in a while and your heater needs to be maintained, your home’s ventilation system also needs service on a regular basis. This is where our team at Johnson’s Mechanical Inc. comes in. As HVAC professionals who serve the Lakeland, Florida area, our ventilation services are extensive and our capabilities are impressive. For instance, we do air quality system installations, air quality system change-outs, custom duct work, kitchen hood installations, and much, much more. When we come to your home to work on your ventilation system, you can rest easy knowing that we’ll do quality work for several reasons. First, we have been working on ventilation systems of all sizes and types since 1982. Second, our company is fully licensed and insured. And finally, we are completely committed to your satisfaction. Unless you’re happy with our work, we aren’t happy! The next time you need some work done on your home’s ventilation system, make the right choice and let our team at Johnson’s Mechanical Inc. help you out. For more information about our services and what sets them apart, please don’t hesitate to reach out to us today. We look forward to hearing from and serving you!